IISER Thiruvananthapuram has excellent facilities for many kinds of ecological and evolutionary research projects. We currently operate out of a transit campus in Thiruvananthapuram, but have well-equipped labs and research infrastructure. We have several growth chambers for controlled-environment experiments, outdoor facilities for rearing insects, rooms for indoor experiments, molecular labs for genotyping work, a microscopy unit, high-speed videography equipment, etc. 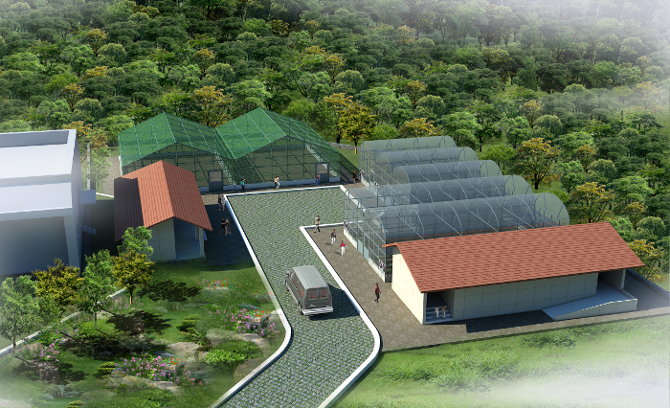 We will also shortly have a state-of-the-art greenhouse complex in our permanent campus. The permanent campus is located at Vithura, ca. 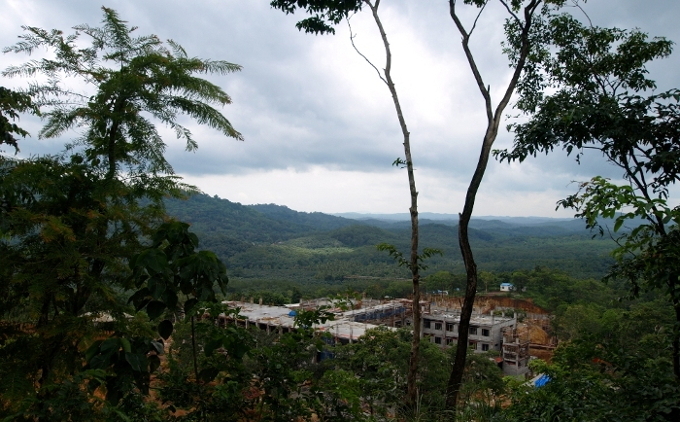 45 km from Thiruvananthapuram, the capital of the state of Kerala. 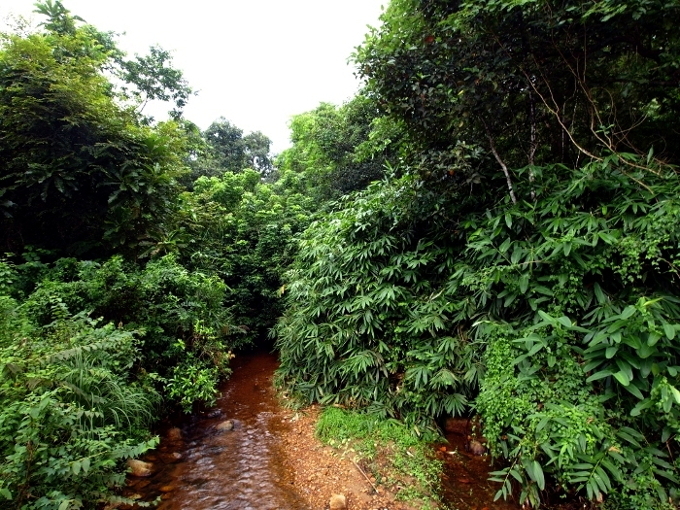 This mountainous, rainforested region in the southern India is part of the Western Ghats and Sri Lanka biodiversity hotspot, and harbours a great degree of endemism. The campus of about 200 acres includes substantial streches of semi-evergreen, mixed-deciduous and riparian jungle. 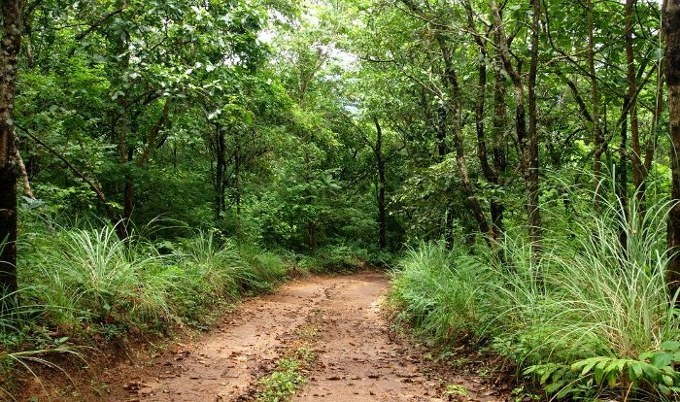 The reserved forest adjoining our campus is contiguous with one of the best tracts of primary rainforest in India - the Agasthyamala Biosphere Reserve, which includes the Peppara, Neyyara & Shendurney Wildlife Sanctuaries, as well as the Kalakkad-Mundanthurai Tiger Reserve. The campus therefore serves as a splendid laboratory for field-based experiments. Moreover, the rich biodiversity within and around the campus provides a great many model systems for experimental work. Architect's rendering of the greenhouse complex (under construction). Riparian forest along one of the many streams. View of campus layout from the water tower.